For those of you who are interested in the technical: 95% of the Eastern Sierra pics were taken with a Sony a550 14.2mp camera with a Sigma 18-250mm OS HSM lens. Other lenses were a Sigma 10-20mm and a Sony 70-300mm G lens. I used a tripod and manual metering almost exclusively. Postprocessing was done in Lightroom 3 64-bit. 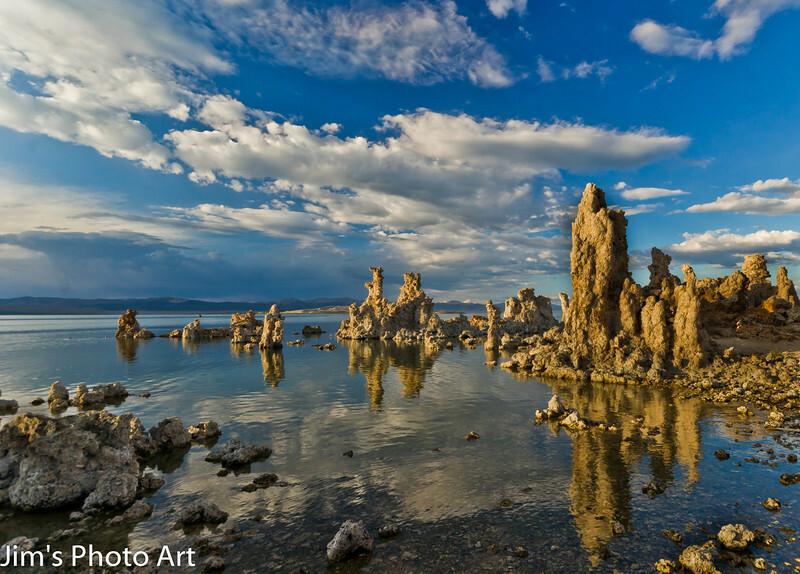 Mone Lake South Tufa area at sunset.